Eight studies bringing you face to face with the surprising, powerful, welcoming, joy-bringing Savior of the world. 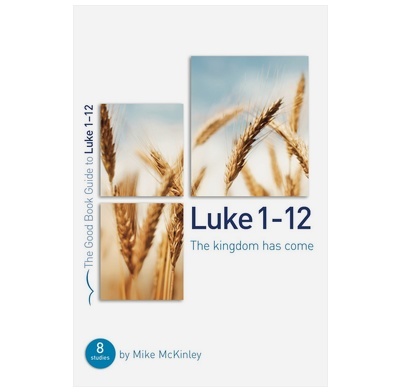 Mike McKinley brings us face to face with Jesus in a way that is fresh and compelling for both experienced and new readers of the first twelve chapters of Luke's Gospel. Features close attention to the text, a focus on real-life application and questions that really open up discussion. Plus a comprehensive guide for leaders in the back. This is excellent material and I agree with the previous reviewer in everything. The only problem is there is far too much content in each study. We could easily have spent two or three weeks in each section and we found this rather frustrating, especially as we are trying to train up new leaders who found it intimidating. Brilliant study book. Encourages thinking outside the box. Section for teaching, allows the student to get an insight into the right train of thought, relevant to the study. Very highly recommended.